Leaders from the Senate Intelligence Committee sent a letter to Wikileaks founder Julian Assange to ask him to testify in a closed briefing with committee staff. Assange has been living inside the Ecuadorian embassy in London since 2012, where he is wanted by the governments of other countries for a number of crimes. 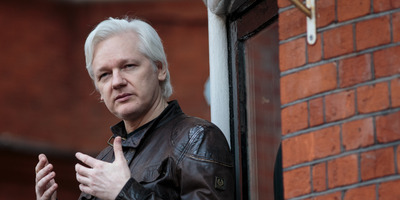 WASHINGTON – The leaders of the Senate Select Committee on Intelligence sent a letter to WikiLeaks founder Julian Assange last week requesting that he speak with committee staffers about his connections to the Russian interference in the 2016 elections. Spokespeople for both Burr and Warner declined to comment. Assange and WikiLeaks played a key role in the interference of the 2016 campaign by nefarious Russian actors. WikiLeaks disseminated hacked emails from top Clinton campaign adviser John Podesta, as well as hacked emails from the Democratic National Committee. The letter comes as reports indicate that the Ecuador government plans to expel Assange from the embassy, in which he has been confined since 2012. The looming eviction of Assange from the embassy is reportedly imminent and could come in a matter of weeks. If Assange is evicted from the embassy in London, he risks not only being arrested by UK authorities, but potentially being extradited to the United States.